They did it at Lord’s in the opening match of the World T20 five years ago. Then, Netherlands stunned England to announce the Associate threat in the shortest format. They did not look anywhere close to do doing it three days ago, when they were skittled out for the lowest total in T20 internationals, and Sri Lanka highlighted the gulf between cricket’s haves and have-nots in the most brutal way. But Netherlands almost did it again today. Netherlands were on course to cull another giant after they restricted South Africa to under 150 and got the asking rate down to less than five runs an over in the chase, but then imploded at the end. They did almost everything right: they took an early wicket, put the squeeze on South Africa with a selection of slower balls and got their own chase off to a flying start. South Africa had not lost to an Associate in their history and Dale Steyn and Imran Tahir held their nerve to ensure that did not change. The Dutch crumbled from 80 for 1 to 139 all out – losing 9 for 59 – and handed South Africa the two points they needed to stay in contention for the semi-finals. With two defeats, Netherlands only have a slim chance of advancing but are taking their own victories from this tournament. In this match, the biggest one was Ahsan Malik’s performance. 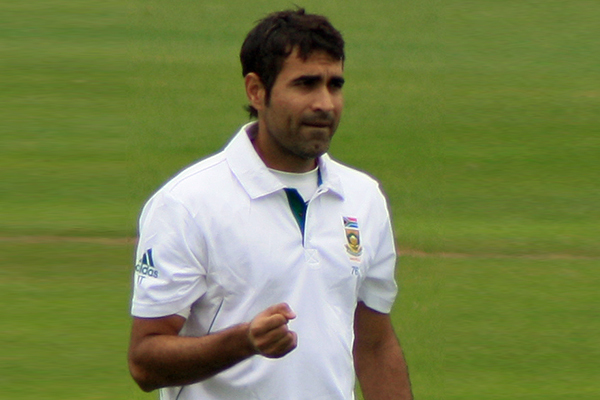 The Rotterdam-born seamer recorded the best figures by an Associate bowler against a Full Member – 5 for 19.